Zurück — News — Aretes de Gato Rison!! Aretes de Gato Rison!! 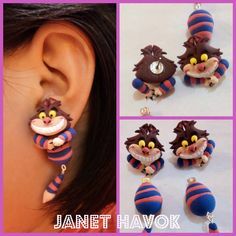 Cheshire Cat Earrings!! Alice in wonderland Cat Earrings! !